It has been reported that the captain of the British Royal Navy’s new Queen Elizabeth-class aircraft carrier has suggested that the size of the ships will have an important symbolic and deterrent effect on potential adversaries. These carriers have a displacement of 70,600 tonnes, are 300 metres in length and have a core crew of 680; however it is the number of aircraft carried that is the issue. As designed the Queen Elizabeth class aircraft carriers can carry more then fourty aircraft, but the growing costs of purchasing and maintaining the fighter-bomber of choice, the F-35B, means that according to Defence Secretary Philip Hammond in a speech on 1 November 2012 only some 12 F-35B’s will be routinely embarked. It is not clear just how significant the deterrent effect of 12 short ranged F-35s will be on potential enemies. It is almost unbelievable that the Royal Navy would build an aircraft carrier that it can not afford aircraft for. The money spent on these two white elephants will never be recouped and could better have been spent on the frigates, patrol ships and destroyers that are so desperately needed by that service. The only possible interpretation of these events is that the admirals making the decisions are hoping that someone, sometime, somewhere, will find the money to buy more aircraft. Nobody needs a 70,000 ton aircraft carrier for 12 F-35Bs. The raison d'être that drives ever larger air-capable ships is the economies of scale found in larger air wings. Needless to say, if you aren’t going to have larger air groups then much of the rational for larger ships is lost. It would appear to most observers that ships more like the successful Invincible class carriers that these new, larger, ships are to replace would have been a better choice. Is there even any merit at all in having a force of 12 F-35Bs? The answer may well be a qualified yes. It should be noted that in OP Mobile Canada’s fighter contribution to the NATO force over Libya consisted of just 6 F-18s. This force, along with support aircraft, was considered to be a reasonable response, one in keeping with our aims and alliance responsibilities. If one is not interested in “a deterrent effect on a potential enemy” but rather in maintaining alliances and contributing to common causes then recent history suggests that six to twelve fighters and some support may well be sufficient. The question then becomes; how can Canada best achieve this more limited goal? Canadian Defence Matters has long advocated that Canada should consider a mixed purchase of aircraft to replace the CF-18 in RCAF service. The case for buying Boeing F/A-18E/F Super Hornets is well made by James Hasik who recently pointed out that no matter what the future brings Canada would always find use for a medium range bomb-truck with air defence potential. Given the design limitations of the Super Hornet, Canadian Defence Matters believes that a small purchase, on the order of twenty F-35’s, as well as approximately sixty Super Hornets would be sufficient to meet our immediate needs. If it should become apparent in the future that more F-35s were needed then it would be relatively easy to integrate them into an already existing force. If the F-35s should not be needed, or if the program should be seen to be a failure, then F-18Es would serve as a useful, and less expensive, insurance policy. When the search was for one aircraft type to fulfill all our fighter needs then the F-35A, the Air Force model, was the obvious choice. But if instead we are looking for a small intervention force, one designed to act as part of a coalition, rather then a one type for all purposes larger force, the question then becomes; which model of F-35 should Canada procure? The F-35B, the “Marine” or V/STOL model, has not been considered for Canadian use up to this time. To quote Doug Allen at Best Fighter for Canada, “Theoretically, a V/STOL aircraft would be a great choice for deployment flexibility. Realistically, they don't make much sense for Canada. Short range, high cost, and they require more maintenance than conventional fighter jet. Aircraft that have STOL (Short Take Off and Landing) capabilities, or close to them, like the CC-130 Hercules, offer similar benefits without the extravagant costs or range compromises” These are reasonable arguments, but they could be leveled against any of the F-35 variants. 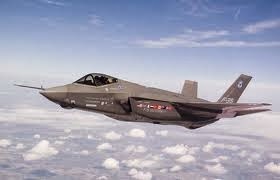 The F35-B would be a good choice for deployment flexibility. Although it’s a fun thought experiment to imagine what the smallest ship capable of launching and recovering 6 CF-18’s might be like ( I suspect the answer has something to do with the length of the catapult ) it may not be completely practical. More realistically, if Canada should ever deploy a “Big Honking Ship” such as the Australian Canberra class or even Hyuga type vessels capable of carrying them, the utility of 35Bs would be immense. If Canada is only going to have a small force of F-35’s used mainly for deployments outside the country in support of our allies and treaty obligations then it only makes sense to have the most flexible model of F-35. As unlikely as it seems, F-35B’s just might be a good choice for Canada.